Homeshare International supports a network of professionals worldwide who run homeshare programmes. Our aims are to encourage learning and good practice, foster new programmes and understand the impact of homesharing. We also raise awareness of what homeshare can offer as a solution to many of society’s needs. Homesharing enables two unrelated people to share their lives for their mutual benefit. A homesharer provides support and companionship to a householder in exchange for free or low-cost accommodation. Homeshare can benefit many people with support or housing needs. There are now programmes in 16 countries from Canada to Korea, Austria to Australia. These programmes typically match older householders with young homesharers. Homesharing builds relationships, often between two generations, recognising that people who take part have needs and something to give. Over 140 homeshare practitioners from 11 countries attended the Fifth World Homeshare Congress in Madrid, Spain in May 2017. 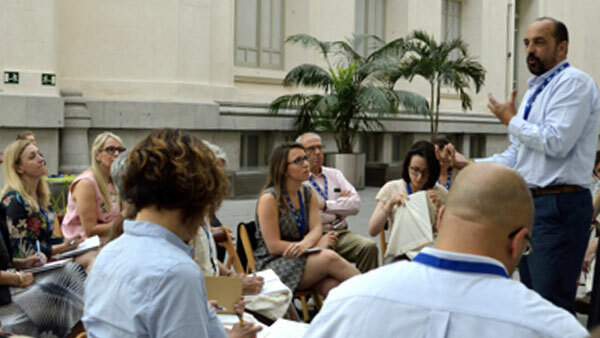 Alfonso Fajardo (shown here leading a workshop) and colleagues from Solidarios ran this highly successful two-day event. Read more about the Congress, including the presentations. 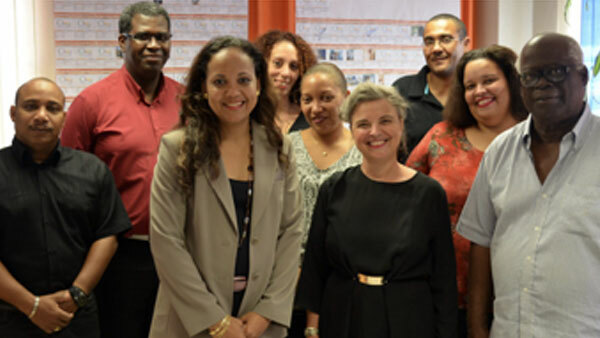 Our French members ensemble2générations recently visited Martinique to help them to set up the first homeshare programme in the Caribbean. e2g is very successful in France, running programmes in several cities, and it has now shared its methodology with many other countries. 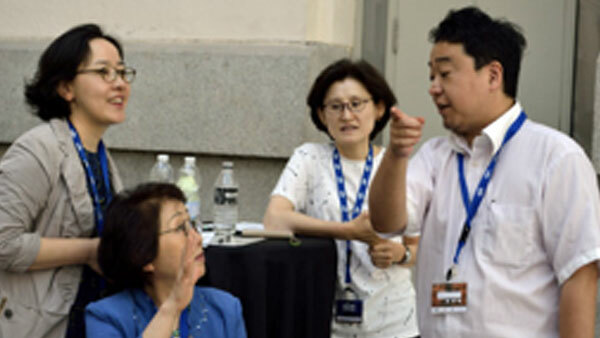 Groups in Japan and Korea are now setting up pilot homeshare programmes in their countries and sent delegates to our recent congress in Madrid to network with other practitioners. Both groups are also getting support from Australia where the national umbrella body, HANZA (Homeshare Australia and New Zealand Alliance) supports not only local start-ups but also groups in the Asia-Pacific region. Brussels congress – a right royal triumph! Our Sixth World Homeshare Congress in Brussels, Belgium, held on 21 – 22 March attracted a record 200 delegates from 17 countries – and even royalty! We were thrilled when Her Majesty Queen Mathilde of the Belgians attended the opening presentations and stayed to chat to our hosts, 1toit2ages, programme coordinators, speakers and homesharers (see a photo on our Facebook page). Warmest thanks and congratulations to Claire de Kerautem, Regis and the 1toit2ages team for organising such a brilliant occasion! We are delighted to report that the Municipality of Madrid has recently agreed to double the funding for the Convive programme! And Convive also won a project to expand Convive to cover four new municipalities around Madrid, financed by the Region of Madrid (Comunidad de Madrid). This will be the first time that homesharing has been offered outside the city. Convive’s aim is to reach 150 matches by June 2019. Convive also started to collaborate with CNAV (the agency of the French Social Security managing pensions), and associations from France (Réseau COSI and International Erasmus Students Network France), and Belgium (1toit2ages) to promote homesharing between Spanish, French and Belgian retired people and Erasmus students. 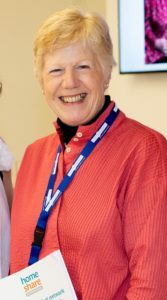 Working in this framework may help them to reach active retired people, willing to practice languages and meet young people from other countries. It will also contribute to spread homesharing around Europe. The project should be developed in 2019-2021. It will include research, a guidebook on homesharing, a web platform Toi + moi for people willing to experience intercultural and intergenerational homesharing, a campaign promoting intergenerational homesharing, and diverse activities in the three countries engaging retired people and students. Convive hopes to secure funding for the project from the Erasmus programme plus the French agency. Catch up with their latest news at the Brussels congress! The Homeshare Australia and New Zealand Alliance (HANZA) has published their latest newsletter. See HANZA newsletter August 2018 to download and read. We are always delighted to discover new homeshare programmes are starting, or thriving. But to learn about a new programme in Prague from our colleagues in Australia is an unexpected pleasure. Countdown to the Brussels congress! Our wonderful Belgian colleagues, UnToit2Ages, are well ahead with plans for the next World Homeshare Congress and are already taking registrations! The congress will be held in Brussels from 21 – 22 March 2019. 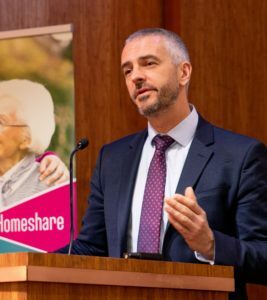 The Congress theme will be Celebrating homeshare and it will bring together delegates from around the world: Australia, Japan, South Korea, Austria, Belgium, France, UK, USA, Spain, Germany … to share their experiences of running a homeshare programme.